well i must say i love seeing your bright springy daffodil amongst all the fall foliage in the gallery! so delightful! Oh Bev, this is so pretty! I love all the springy colors & the pictures are gorgeous! Thank you so much for joining the challenge! 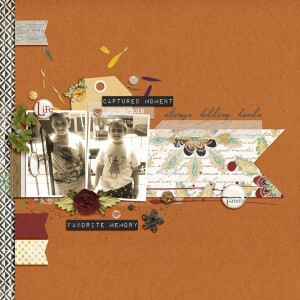 Love the spring photos and love the choices of papers and the tag layered under the photos. Great page and lift! Thanks for playing along with my challenge!